Vermont residents want better internet service and protection for universal access to phone service, even if customers have to pay a surcharge on their bill to make sure the traditional landline is still available in 100% of the state. In contrast, some residents complain, Vermont regulators want to make life easier for a telecom industry that wants to abandon universal service, fails to connect rural customers to the internet, and has left major cell phone signal gaps around the state. 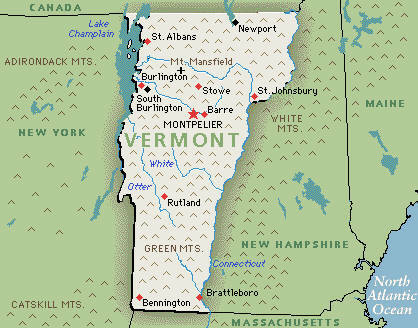 In 2017, Vermont commissioned two surveys that asked 400 business and 418 residential customers about their telecommunications services. It was quickly clear from the results that most wanted some changes. Vermont is a largely rural, small state that presents a difficult business case for many for-profit telecom companies. Verizon Communications sold its landline business in northern New England, including Vermont, to FairPoint Communications in 2007. FairPoint limped along for several years until it declared bankruptcy and was eventually acquired by Consolidated Communications, which still provides telephone service to most of the state. Many rural areas are not furnished with anything close to the FCC’s definition of broadband (25/3 Mbps). DSL service at speeds hovering around 4 Mbps is still common, especially in areas relying on Verizon’s old copper wire infrastructure. Comcast dominates cable service in the state, except for a portion of east-central Vermont, which is served by Charter Communications (Spectrum). Getting cable broadband service in rural Vermont remains challenging, as those areas usually fail the Return On Investment test. Still, 85% of respondents said they had internet service available in their home. Vermont’s Department of Public Service (DPS) estimates about 7% of homes in Vermont have no internet provider offering service, with a larger percentage served only by the incumbent phone company. The majority of residents own cell phones, with Verizon (47.5%) and AT&T (31.8%) dominating market share. Sprint has 0.6% of the market; T-Mobile has a 1.2% share, both largely due to coverage issues. But even with Verizon and AT&T, 40% of respondents said cell phone companies cannot deliver a signal in their homes. As a result, many residents are hanging on to landline service, which is considered more reliable than cell service. Some 40% of those relying on cell phones said they would consider going back to a landline for various reasons. With the FCC ready to cut support funding for rural landline service, residents were asked if the state should maintain funding to assure continued universal access to landline service. Among respondents, 87.8% thought it was either “very important” or “somewhat important.” The study also found 51% would accept a general statewide rate increase to cover those costs, while 29% preferred rate increases be targeted to rural ratepayers only. About 16% did not like either idea, and 4% liked both. When asked whether residents would be interested in having a fiber connection in their home, 80% of respondents said “yes,” but 30% were unwilling to pay a higher bill to get it. Ironically, the state’s most aggressive residential fiber buildouts are run by some of the smallest community-owned internet providers, rural electric or telecom co-ops, and small independent phone companies. 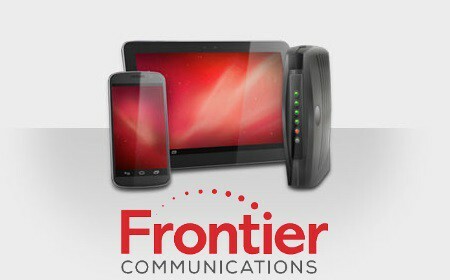 What makes these smaller providers different is that they answer to their customers, not shareholders. Comcast and Charter are the two largest cable companies in Vermont. Recently, the DPS released a 100+ page final draft of its 2018 Vermont Telecommunications Plan, setting out a vision of where Vermont should be a decade from now, especially regarding rural broadband expansion, pole attachment issues, and cell tower/small cell zoning. The report acknowledges the state’s own existing rural broadband expansion fund is woefully inadequate. In 2017, the Vermont Universal Service Fund paid out $220,000 to assist ISPs with building out networks to rural areas. Much of the report focuses on ideas to lure incumbent providers into volunteering to expand their networks, either through deregulation, pole attachment reform, direct subsidies, or cost sharing arrangements that split the expenses of network extensions between providers, the state, and residents. Small cell deployment has been attempted along rural routes with very limited success and the national efforts to expand small-cell, distributed-antenna systems, and 5G upgrades have focused on urban areas. The common refrain on 5G is that ‘it’s not coming to rural America.’ 5G should come to rural Vermont and the state should take efforts to improve its reach into rural areas. 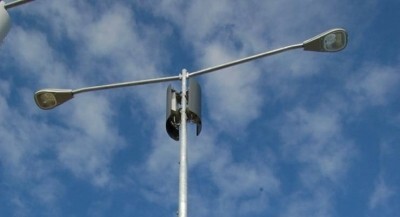 A small cell attached to a light pole. To accomplish this, the report only recommends streamlining the permitting process for new cell towers and small cells. The report says nothing about how the state can make a compelling case to convince providers to spend millions to deploy small cells in rural areas. Vermont could use a similar program to help start Communications Union Districts as well as allow towns to invest in existing networks of incumbent providers. Limitations on the authority to bond would need to be put in place. Such limitations should include focusing capital to underserved locations only, limiting the amount (or percentage) of tax payer dollars allowed to be collateralized, and setting technical requirements for the service. Such restrictions often leave community broadband projects untenable and lacking a sufficient service area or customer base to cover construction and operating expenses. Instead, only the most difficult and costly-to-serve areas would be served. The current law also prevents local communities from making decisions on the local level to meet local needs. At a public hearing last Tuesday in Montpelier, the report faced immediate criticism from a state legislator and some consumers for being vague and lacking measurable, attainable goals. Clay Purvis, director of telecommunications and connectivity for the DPS, defended the plan by alluding to how the state intends to establish a cooperative environment for internet service providers and help cut through red tape. But much of those efforts are focused on resolving controversial pole attachment fees and disputes, assuming there are providers fighting to place their competing infrastructure on those utility poles. Montpelier resident Stephen Whitaker was profoundly underwhelmed by the report.